After the Independence Day recess, Republicans are returning to Washington having made no progress on their healthcare bill. However, we should not underestimate Senate Majority Leader Mitch McConnell's ability to strike a deal. Keep the pressure on by printing, signing, and sending these letters today. The letters demand that the Democrats stop merely opposing TrumpCare, but offer their own more-compelling solution. The offices of senators and congresspeople tally calls received every day. The more calls they receive about a particular issue, the more urgent it becomes for them (it doesn't matter which of their offices you call). Use Monday's letters as a script and call about healthcare. Your representatives also take notice of Twitter. If you're on Twitter, tweet them! 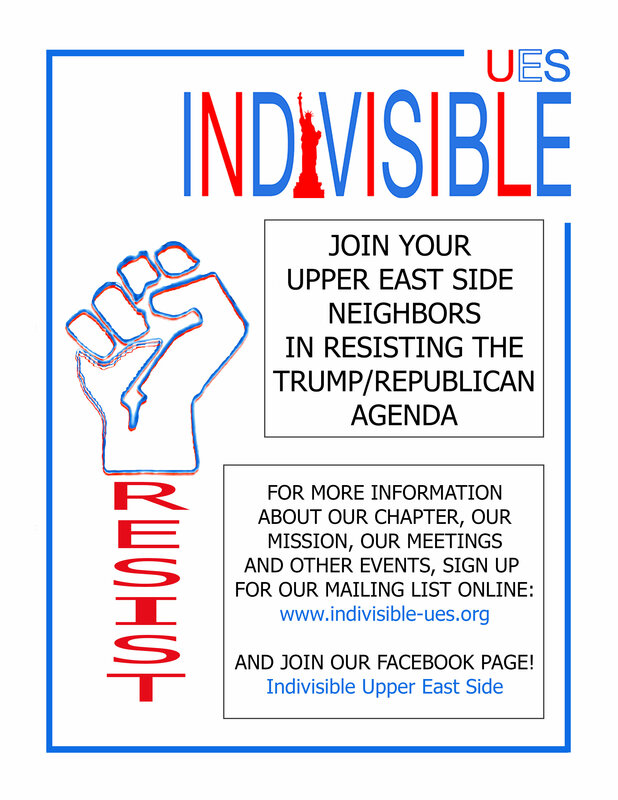 Download and email one of the attached fliers to friends and neighbors who might want to join the resistance. The details for our Thursday meeting are in the next entry. You can include those in your email. We also encourage you to print these fliers and distribute them at home and at work. 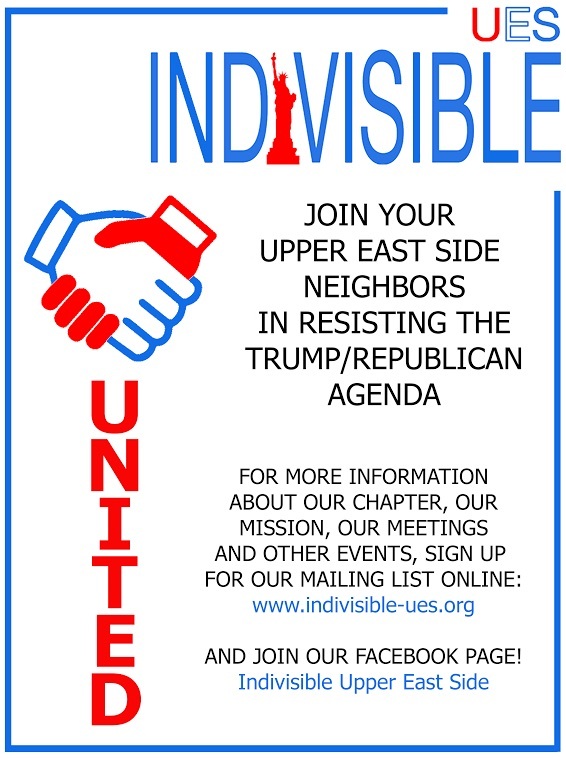 1157 Lexington Ave., at E. 80th St.
Join us at our monthly meeting. Among other things, we will work together to write letters to our representatives about our climate-change concerns. Your input is invaluable! From July 29 - September 29, Swing Left will be going out into Democratic neighborhoods in Swing Districts across the country to talk to voters and make sure they're ready to get to the polls. RSVP now for webinar training by clicking here. Refuse Fascism, a grassroots organization working to resist Trump's agenda, is launching a nationwide day of protest! Please invite all your friends, family, and neighbors by sharing the Facebook event page.